I feel very good about the service. The tec. has always been polite and they explained what they were going to do. The five star rating is mostly attributable to your ten star employee that services our account. We are very pleased with the service and professionalism of the providers. Technicians are very knowledgeable and work professionally. Insight Pest Solutions truly is the solution to ant infestations. When we first moved into our house there were little ants all over! Since Insight Pest Solutions has been maintaining our house we no longer have ants in the house!There isn't even the occasional silverfish dashing about on the bathroom floor! We are extremely pleased! Very happy with the service. Techs are professional and polite. Thank you for sending Justin, he does a great job on my mom's house and property, hope we get him every time! The company has been great since we started in July, and the treatment appears to be working well. Everyone we have spoken to have been very pleasant and professional. Great service arrive on time and informative regarding the service provided. Technicians are polite and responsive to any questions. Also professional. We would definitely recommend Insight to others. Professional and nice? The technicians at Insight Pest Solutions are amazing! They are so knowledgeable and helpful. This is a wonderful company! Friendly, polite and knowledgeable technicians. I have dogs and they always shut and clip the gates just the way they found them. I always check but so far they have a perfect record. If I am home they always knock and ask if I have any questions or special problems they need to address. They leave a tag on my door and email a report so if I have any questions I can call. They are easy to get a hold of and I don't get a runaround. I have been using this service for three or four years. 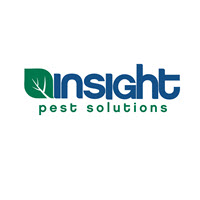 Very happy with the service I receive from Insight Pest Control. It's easy, convenient, and effective. The technician they send is a great guy. i am andhave been very satisfied with your service. tha gentlemen have always been friendly and pleasant when they came. I would definitely recommend you to anyone. Timothy came to do the inital treatment and was very polite, informative and professional. Great job.